Pazham pori with a cup of hot cardamom tea, even the thought of this makes me nostalgic and cozy. Pazham pori (in malayalam) or Plantain fritter is one of the most famous evening snacks in Kerala. It’s one of the simplest and the humblest snacks as well. As Kerala is the land of plantain, you will come across many plantain dishes while in Kerala. 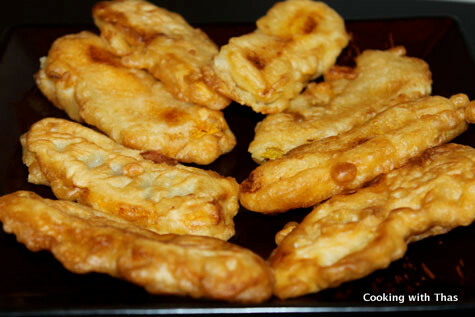 Among those, plantain fritter or pazham pori has been the popular and the favorite snack of almost all the poeple there. 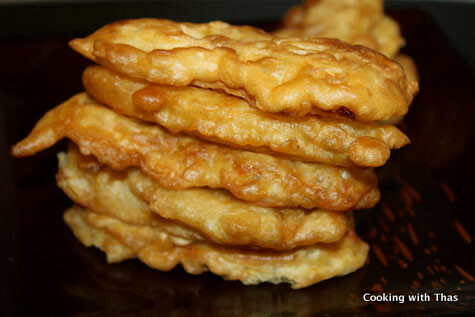 This snack is often fried in most of the homes to serve along with tea in the evening. And yes! Keralites need something to chew on while sipping tea or coffee and this habit hasn’t changed even now. When I visited Kerala couple of months ago, everyday during tea time my mom had made snacks to serve with tea. I haven’t come across even an evening without some snacks being served. Not in just houses, you could see this snack being sold almost every where from small restaurants to fine restaurants. People buying and eating hot pazham pori from road side vendors is a common scene in Kerala. It’s one of the fastest and hot selling snacks in trains; in the cafeterias of hospitals, offices and universities. If you prefer you could ignore adding egg to the batter. Peel off the skin from the plantains, first cut it vertically, then cut it into halves. Cut the halved plantain vertically to get two thin slices out of it and keep aside. To make the batter: Combine the flour, egg, sugar, baking soda and water using your hand or in a blender to make a thick batter without any lumps. Don't make the batter watery, so make sure to add water little by little. Place a frying pan over medium heat and add enough oil for frying. 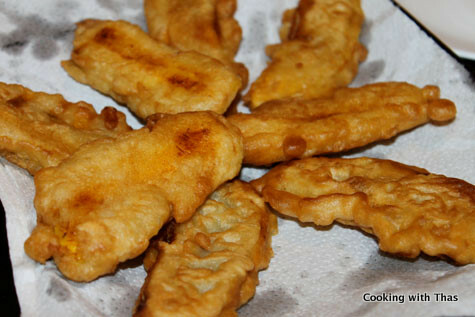 Dip the plantain slices into the batter, coat it evenly with the batter. 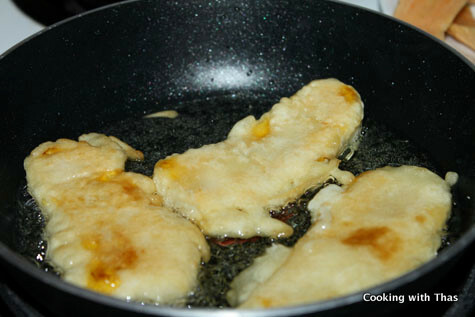 After the oil gets hot, add the plantain coated with batter into the oil one by one. Fry till both the sides turn golden in color. Using a slotted spoon, transfer the fried plantains to a plate lined with paper towel. Let the oil drain from the fried plantains and serve hot along with tea or coffee. 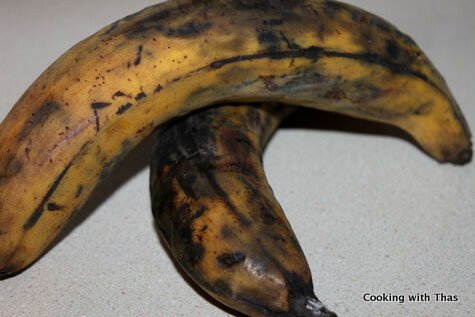 Make sure to use ripe plantains. You could even add a pinch of saffron or turmeric powder to the batter which gives a vibrant yellow color. Don't throw away any leftover batter, using a spoon pour the batter into the oil and fry until it turns golden in color. The fried batter tastes really good.